Mount Oswald, seen from South Road, Durham. 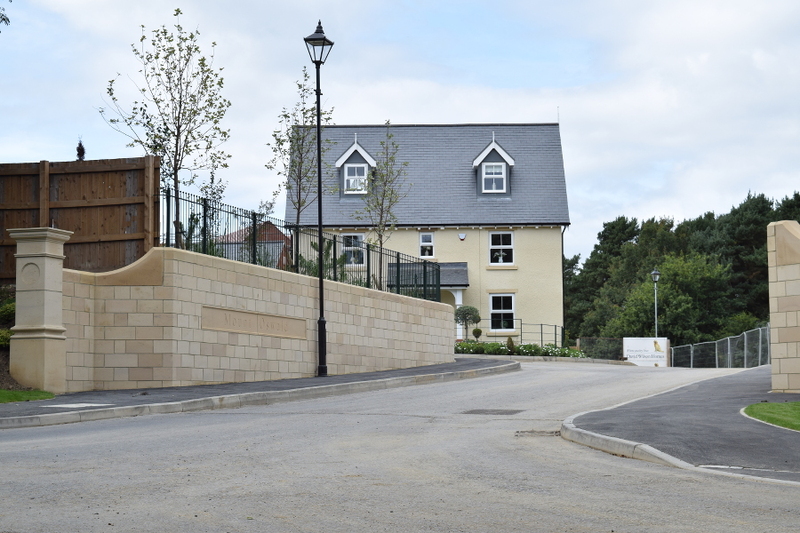 Just down the road from my home in Durham the new constellation of houses known as Mount Oswald is taking shape, filling up the space that used to belong to a golf club of the same name. One of the 60 newly built four-or-five bedroom houses could be yours for just £520,000 to £730,000, according to the developer. This in a region where the average salary is just £24,000. What do you make of these quasi-gated communities? Jesper recently completed his PhD in Political Theory at the School of Government & International Affairs, Durham University. He works on global justice, specifically responsibilities of the developed world towards developing countries. He’s also the webmaster for this blog. I have been thinking about how inequality close up is different from inequality at a distance. I guess it has to do with the question of equal standing and the relations can do or do not develop between individuals who could, as a matter of geographical situation, become neighbors. Or is it just that the contrast becomes particularly visible? Hi Lisa, thanks for sharing your thoughts. I think you’re right that it probably mainly an empirical question, and I haven’t done any research on that in particular. But my guess is that the answer will be that it’s better to have rich and poor families living side by side, for a couple of reasons. First, I think physical separation engenders an “us vs them” attitude on both sides. This encourages the rich to think of the poor as lazy or lacking motivation, and the poor to think of the rich as greedy or selfish. Second, the city will be more coherent and cohesive if it’s not parcelled up into separate sections. Third, the rich have a political clout that comes with their wealth, that the poor can benefit from if they share the same public resources, whether it be well-maintained roads, bin collection, high quality of schools and GPs, etc. And fourth, (perhaps most optimistically), I believe/hope that bringing people together from both ends of the income spectrum will help people understand just how big the income gap is, and motivate them to do something about it. My ideal kind of city development would be the kind of terraced housing where it’s all mixed together, and you can’t actually see if each building is one big mansion, a two-apartment house or several smaller flats unless you go up and count the number of doorbells. In any case, I share your preference for mixed neighborhoods in which there is not too much visible difference between apartments and houses.